Massage for spinal stenosis is a symptomatic therapy modality which will not do anything to change the spinal anatomy, or resolve canal narrowing, but may help manage some the symptoms associated with the condition. Massage therapy is one of the most widely practiced complementary healing arts, with literally hundreds of different types offered around the world to patients who are eager to find some solace from their suffering, albeit for an hour or two. 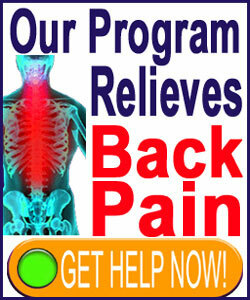 Patients are advised to understand that massage will not cure spinal stenosis. However, as long as they realize the limits of the treatment and simply use it as a method of dealing with the pain, there is absolutely no harm in enjoying a relaxing massage to take the edge off. In fact, compared to using pain management drugs, massage is far preferred, since it has no risks and also soothes the mind, as well as the body. This analytical essay delves into the best applications of massage techniques for spinal stenosis patients. Massage therapy can be vigorous or calming. It may be aggressive and almost invasive in some forms, while being tranquil and gentle in others. Make sure to find both a style of massage and a therapist that suits your preferences before paying for any sessions. There is nothing worse than being stuck for an hour with someone who literally rubs you the wrong way. Once you have a good therapist available, you might take advantage of volume pricing by booking several sessions at one time. This is a good way to save some money on the cost of each massage and this type of plan is usually offered by most professional masseuses. Massage does not need to be professional in order to be effective. In fact, an amateur massage given by a friend or loved one can have just as much therapeutic effect as a real pro can impart. While an amateur can not match the anatomical knowledge and technique of a pro, they might put more of their heart into the massage and the feeling of comfort with someone you love can never be matched by a professional whom you do not know. Therefore, if you have someone who is willing to spend time learning what works well to help you cope with your pain, take them up on the offer and let them help you. I have been massaged by many professionals in my time, but I can honestly say that no one has ever been able to match my wife for the quality of the treatment. She truly has both excellent technique and a loving touch that is unrivaled. I am very lucky in this regard and hope all of you who desire therapeutic massage can find someone who will provide the same benefits. I really admire massage therapists for their attention to detail and the fact that they preserve one of the oldest and most used healing practices in history. Massage is a very personal experience, between the giver and the recipient. Few, if any, healers take such time and effort to truly learn what their patient needs and then provide them with a very soulful expression of true holistic care. The negative aspects of massage are few, but include the high cost in some areas and the lack of insurance coverage for most recipients. If you can overcome these hurdles, I recommend massage as a great way to take the edge off the pain while still looking for a real cure for the underlying stenosis issues.